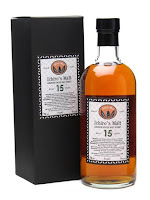 One stand at the whisky show in particular was very interesting. It was the Chichibu, Mars, Hanyu stand. Mr Ichiro himself was there for a masterclass and was down at the table serving. These really surprised me with the quality, especially the Mars, at such young ages. 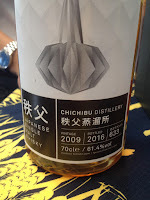 If you don’t know the story, Hanyu was a Japanese distillery owned by a Mr Ichiro, Hanyu was unfortunately closed and his son built a new distillery near the site: Chichibu. First one I tried was the Hanyu. I’d been curious as to why these go for thousands of pounds. Nose: Perfumed, floral, lemonade, gummy bears. Taste: Soft, lemonade, almost fizzy citrus, under ripe orange, lovely. Finish: Medium/Long length. Orange/lime and lemonade. This is good quality, the fizzy lemonade thing is quite unique, but I don’t really see why it commands ridiculous prices. 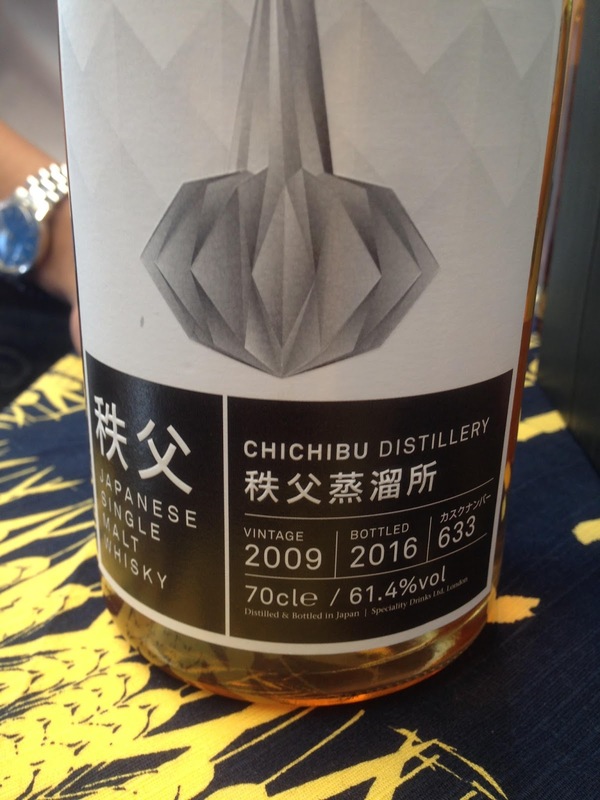 Then came the Chichibu, bottled for the Whisky Exchange, vintage 2009. One of the oldest Chichibu’s released so far. Nose: Sweet grain, light fresh fruit, light oak, lovely floral notes, floral oak. Taste: Intense, sweet fresh fruit, pineapple and mango, white pepper, oily. Finish Medium length. Spiced, oak, some fruit. 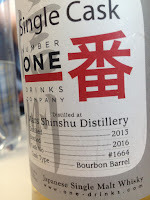 Great whisky for 7 years old, bottled 2016. These were selling for £140ish, not sure if they were available on the day. I thought that was too much but I later saw them go at auction for £450! 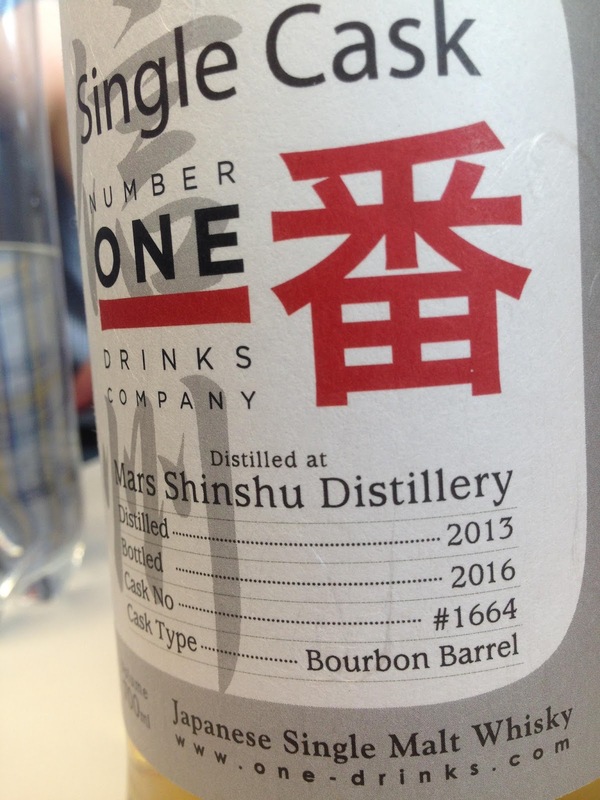 And then it was onto another new Japanese distillery. Well, Mars was actually running though the 80’s and 90’s I think but was then closed sometime in the late 1990’s. Anyway, they’ve recently reopened. Nose: Balanced and integrated, tropical fruit, oriental spice, nutmeg. Taste: Oily, fruity, sweet, creamy, wonderful tropical fruit, spice. Finish: Medium length. Soft, amazing balance, sweet. This is from old and new Mars stock. Lovely stuff, shame that the price is very high (£120). But that’s just what you pay for Japanese whisky these days. Then the gentleman on the stand convinced me to try a 3 year old peated single cask. Really expected a huge peat monster at 50ppm, but was very surprised to find little smoke on it. Nose: Sweet liquorice, aniseed, slight floral smoke. Taste: Soft arrival, building tropical fruit, spice and oak, oily. Finish: Long length. More oak, spice, and a little less tropical fruit than the taste. Peated to 50ppm, 3 years old but incredible for that age. 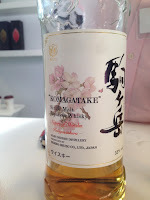 These few whiskies have really opened my eyes to just how good the Japanese whiskies can be, even at a young age. Chichibu and Mars are going to continue evolving and will probably be fantastic in the future. Unfortunately, they probably won’t be very available and therefore prices are quite high.